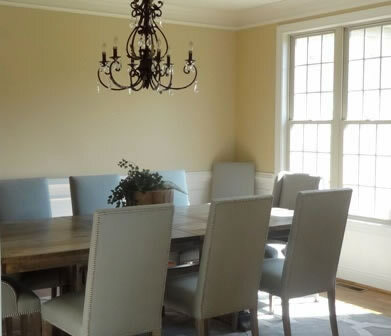 This Winston Salem, NC dining room needed an update! 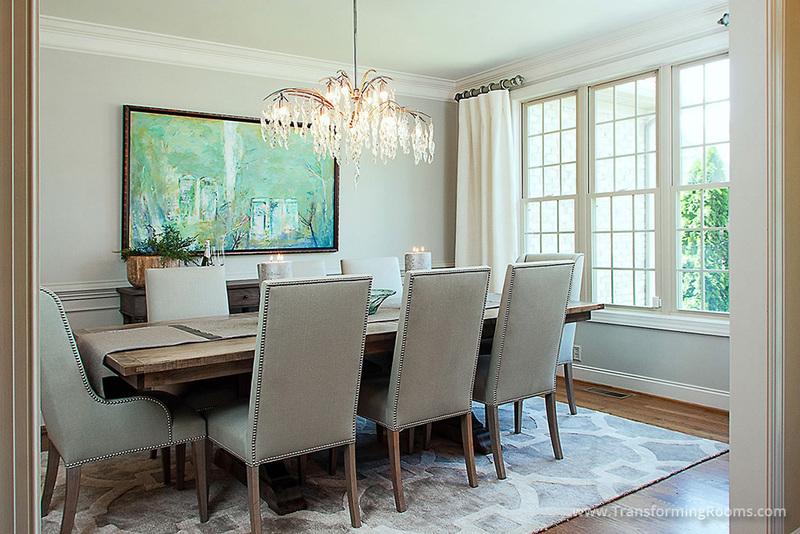 Notice we don't stop with the furniture... a stunning chandelier, custom drapes, local art and fresh gray wall paint transformed this dining room! We also added a beautiful gray rug and the narrow server, which the homeowner's love for serving deserts or wine.